AWA (Andrew Wojteczko Autosport Inc.) along with MBRP Performance Exhaust are pleased to announce a 2018 championship effort in the challenging IMSA CTSCC (Continental Tire Sports Car Challenge) championship in the fastest Grand Sport category. The endurance racing format consists of a mix of 2 and 4 hour races with 2 drivers per car. 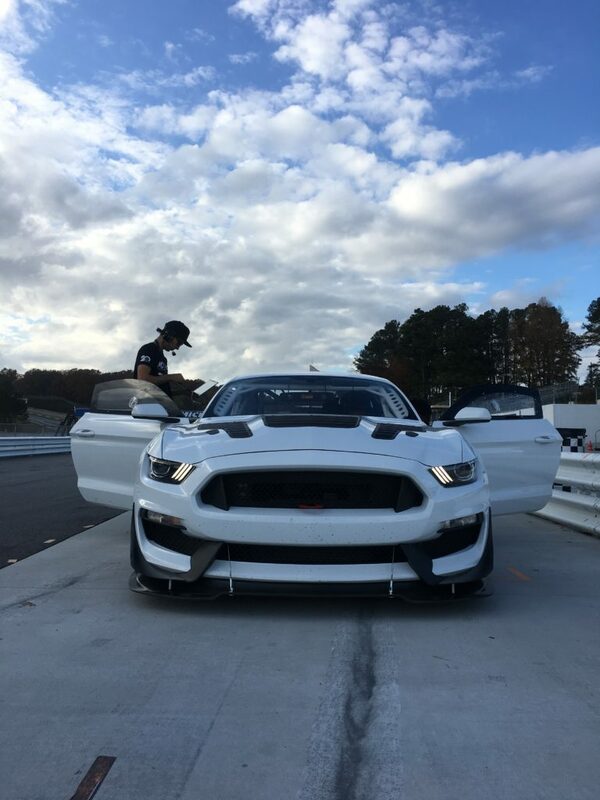 The team has taken delivery of their first Multimatic Motorsports built Mustang GT4 to be driven by Martin Barkey and Brett Sandberg, a driver lineup that have each achieved multiple podium finishes in the GS class and that will surely be a threat in the overall championship. A second Mustang GT4 and driver lineup are being considered and interested parties should contact AWA for more info. 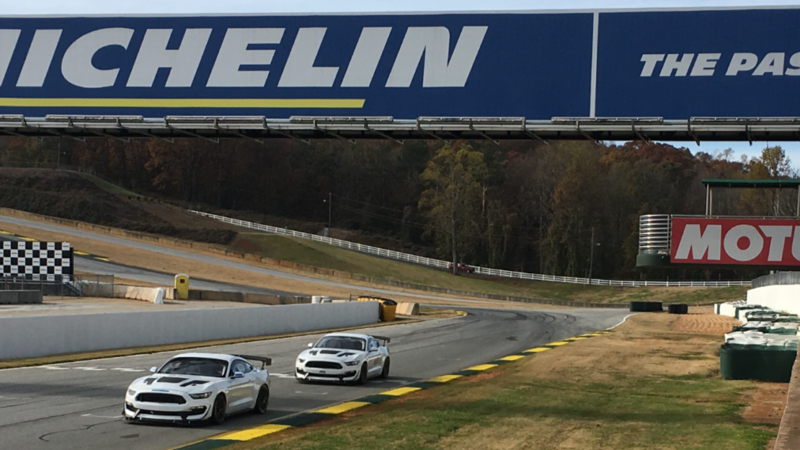 Initial testing has been completed at Road Atlanta earlier this month. 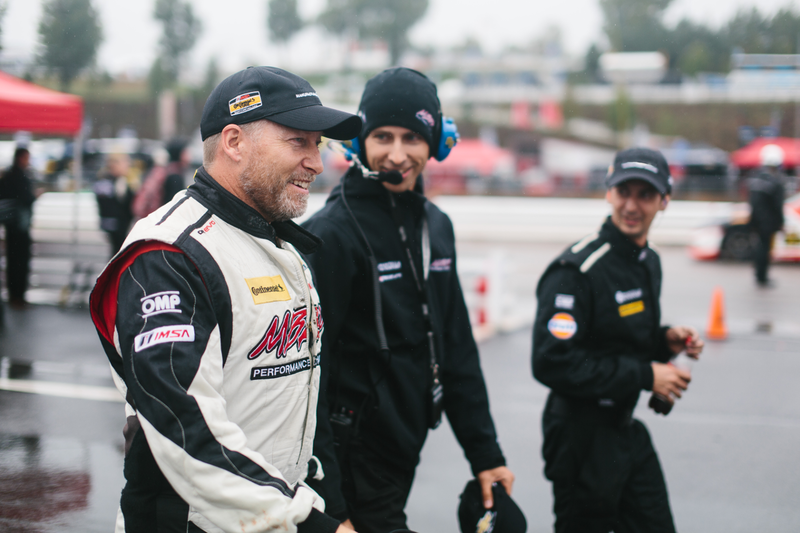 Martin Barkey, Brett Sandberg, ready for an exciting season in IMSA CTSCC GS. Team principal and lead engineer Andrew Wojteczko plugs in and downloads mid-session data. The AWA team is thrilled to announce partnerships with some legendary brands. Gulf and their line of competition lubricants provide maximum performance and protection in the engine, trans, diff and brakes. 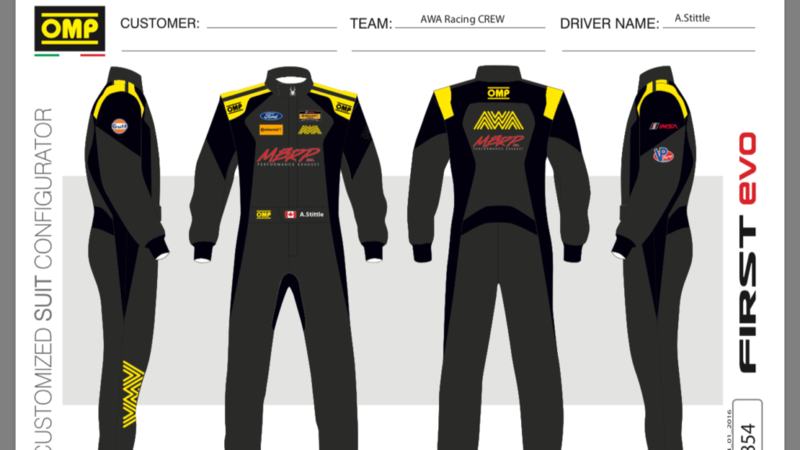 Look for drivers and crew to be outfitted in the latest OMP driver/crew suits and fire gear, keeping us safe over the wall and behind the wheel. Spyder and their fashionable, technical apparel will be making sure the team stays dry and warm on the cold days, and cool on the hot days. With the season kicking off at Daytona in January where temps are often at the freezing mark, the right gear makes a huge difference. 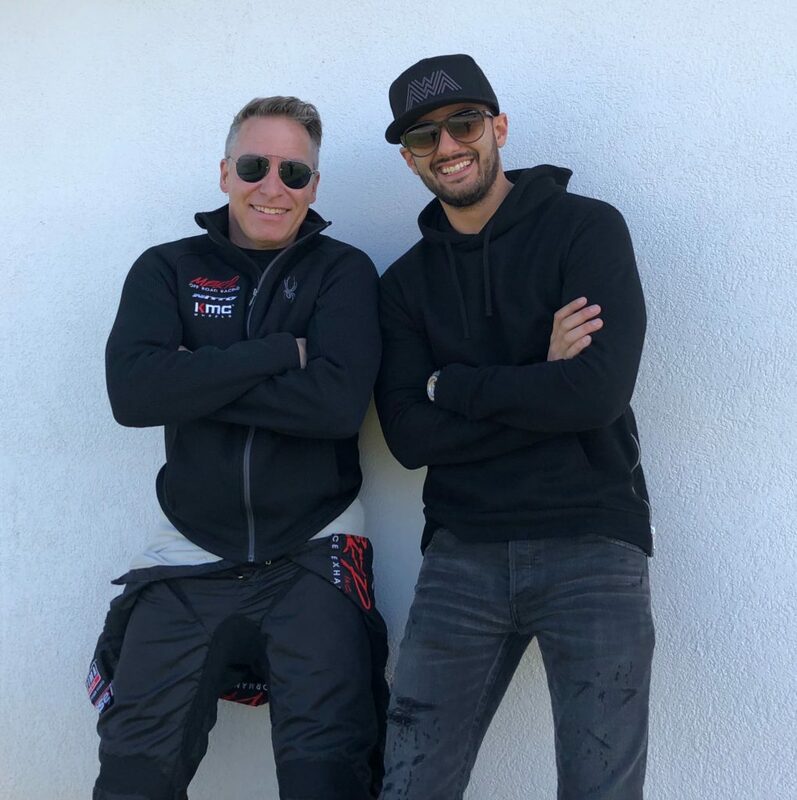 If you catch the team on the road or at the airport, you’ll see Projekts’ line of bags and luggage, stylish and durable gear making sure everyone’s valuables arrive safely at the track. SekanSkin will be cutting/printing vinyl and watch for ongoing collaborations with DNBK, creator of the AWA artwork. Be sure to follow along on the team website at awa.team, on Instagram at awaracingteam and on Facebook at AWAracingteam. Also be sure to check out MBRP.com for all of your performance exhaust needs. 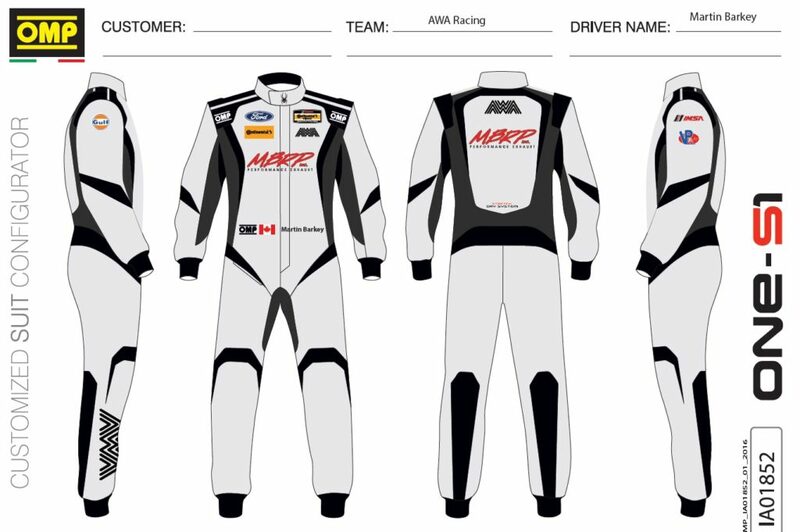 Looking forward to seeing you guys race at The Glen and Mosport!!! Congratulations on the new team, all the best for 2018 and I’ll see you at the tracks.